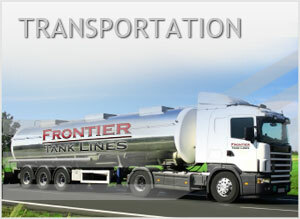 Frontier Tank Lines provides licensed Fuel Transportation Services to our customers in Dallas/Ft. Worth, Houston, San Antonio, El Paso, Amarillo, Midland/Odessa, Albuquerque, Gallup, Moriarty, and Oklahoma City. In addition to those markets our Service Area for Fuel Transportation Services includes all of Texas, New Mexico, and Oklahoma. With a 24 Hour On Call Fuel Dispatch Team and Emergency Fuel Service, Frontier Tank Lines is a dependable partner that can deliver all your fuel needs, right to your front door. Our experience and expertise, led by our Management Team and backed by our service-orientated support staff, puts us in a unique position to offer fuel transportation services that are second to none. we also offer Fleet Fueling Services, Inventory Management, and Tanks & Equipment.